COPYRIGHT NOTE: you can copy, use and sell (use for commercial purposes if you give credit to CrazyLassi). 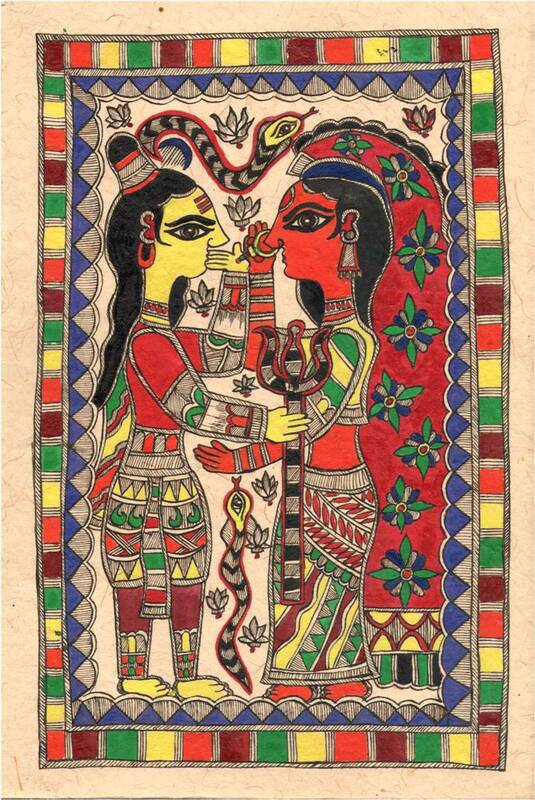 I have been captivated by Madhubani ever since I saw a painting of Lord Ganesha at our neighbor's house. 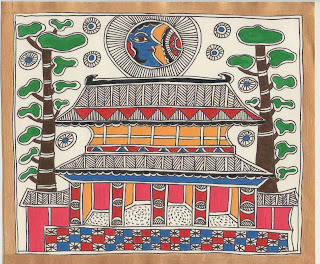 It was a small and simple Madhubani painting made on a handmade paper using poster colors and outlined with a black marker. 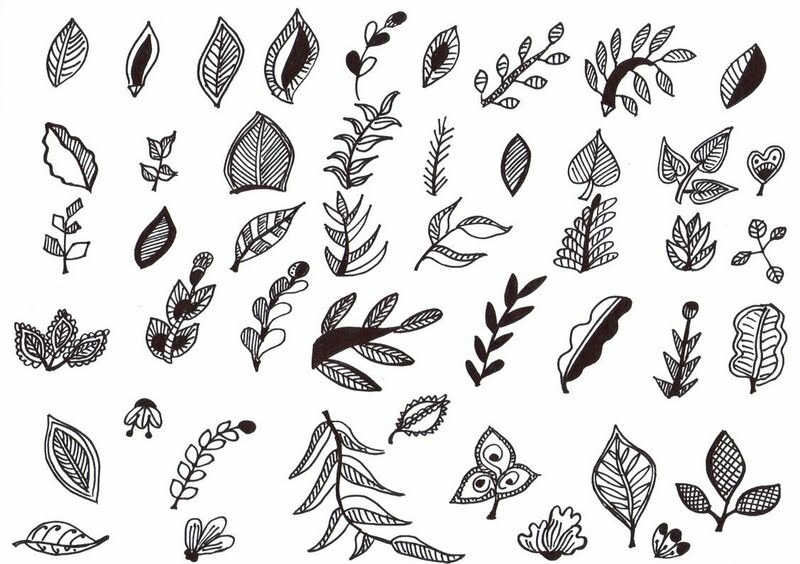 I haven't been in Bihar and all my Madhubani knowledge came from looking at the Madhubani paintings at the art shops, other people's homes and - the Internet. As a beginner I am trying to experiment with different materials in order to discover the second most authentic way of making it after the flower extracts mixed with the cow dung. 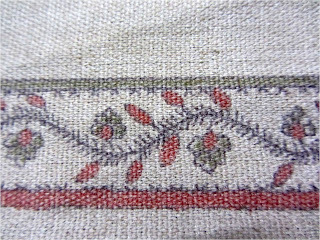 One of the most important Madhubani features is - double outlines. 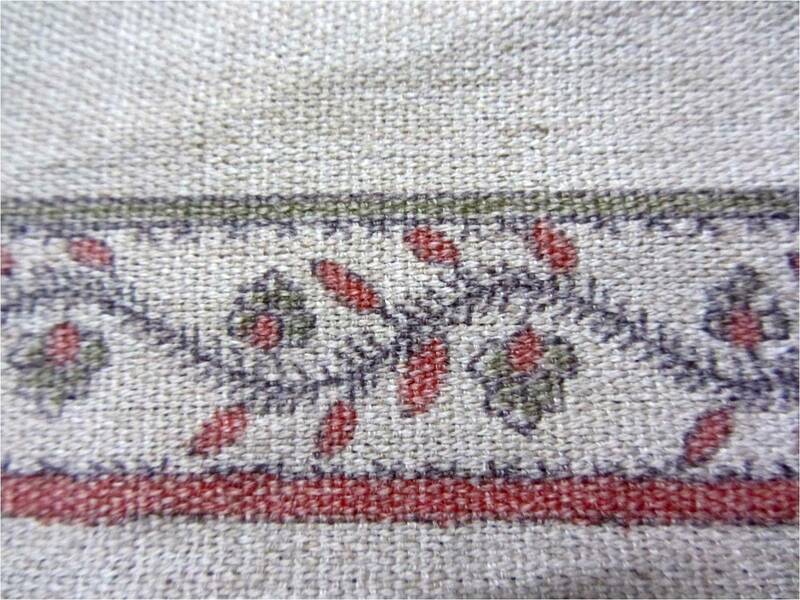 Double outlines create an authentic Indian pattern that is used in printing (bed-sheets, clothes' designs), sculpture, metallurgy and mehendi (or henna) designs. 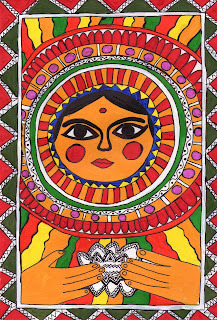 Recently I really got interested in traditional Bihari art - Madhubani. It is performed by the women in villages of Bihar. 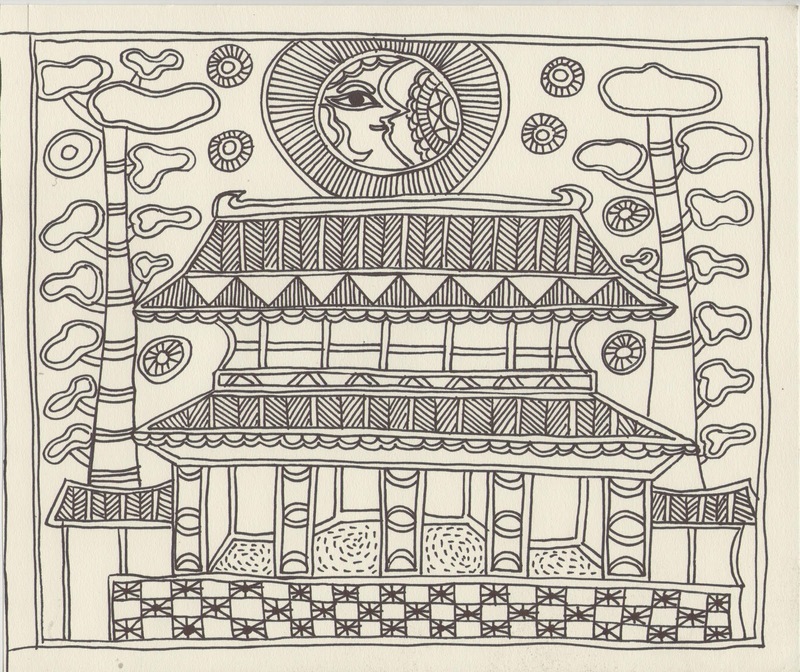 They draw traditional designs and epic scenes on their house walls during festivals. Once I went to our neighbor's house for some dahi khatta* and saw these amazing Madhubani paintings hanging on the wall. There were the paintings of gods Shiva and Parvati, Lakshmi and Ganesh. 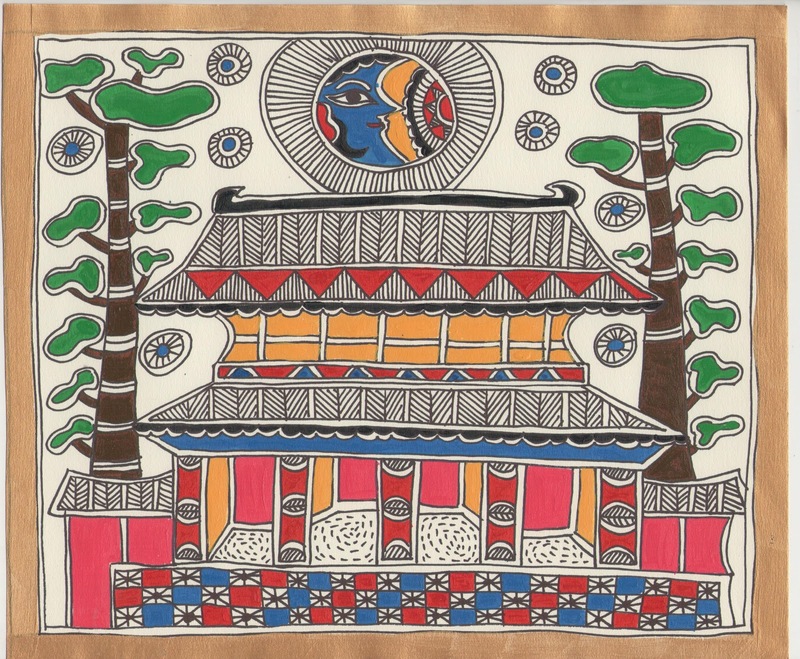 I was completely new to India that time and there were many things that stunned me but unlike other things, Madhubani didn't come out of my mind. 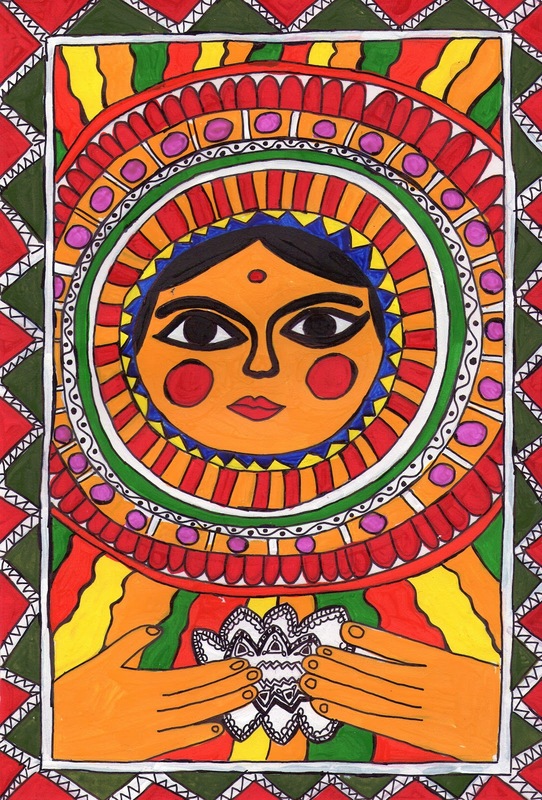 I have tried to write an introductory post about Madhubani paintings but failed. 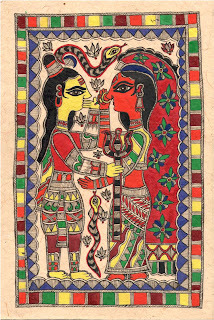 I wanted to introduce you to Madhubani and Mithila, to tell you about its origins and the story of how it became commercialized however there was some lie about it, some untruth that stopped me from writing such a useless post. 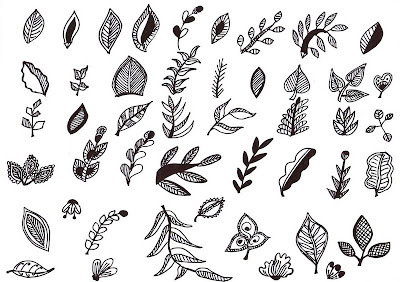 I have never been to Bihar or Mithila, I have never attended any class to teach myself Madhubani, I have never read a book nor met anyone who liked painting Madhubani. 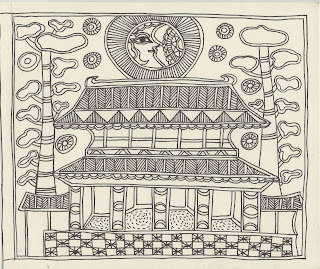 If you are interested in Mithila art, you could read through those very similar articles in section "Other Madhubani Blogs" on the right side of this blog.